Hi, Peter. Thanks a lot for agreeing to this interview. Lets start at the beginning, what can you tell me about your childhood? What were some of your inspirations as a young boy? I was born in Liverpool. As a young lad I saw the Beatles perform at the Cavern. This changed my life. I was in many young bands there before moving to London in the mid-late sixties. I was a professional musician by the age of 18. 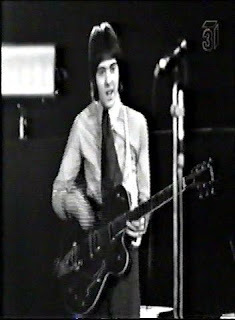 In 1966 you joined band The Thoughts and soon after you released two singles for Parlaphone. I would like if you can share with me experience you had with The Thoughts, did you perform often? The Thoughts were my first pro band. We started out backing a girl singer called Tiffany in Liverpool and then moved to London without her. We got some decent action in the form of record deals etc. We were in a couple of movies too. 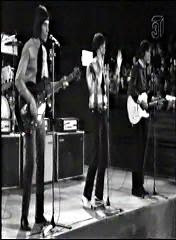 We played the very first concert at the Saville Theatre, promoted by Brian Epstein, opening for the Who and Hendrix. Hendrix currently had "Hey Joe" on the charts and was just starting to get noticed. I stood next to Daltry and Townsend in the wings as we all watched him light his guitar on fire... to our absolute dismay. 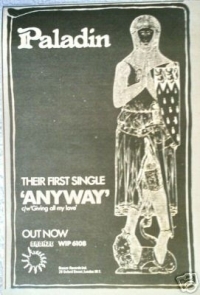 We recorded a Ray Davies tune "All Night Stand" which got some attention. 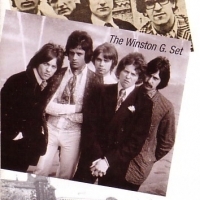 Soon you started playing in a new band called Winston G and the Wicked. Did you release anything? 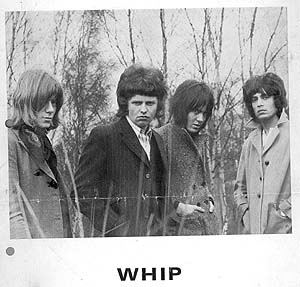 This was a short lived band that originally featured Top Topham (Yardbirds) on guitar. 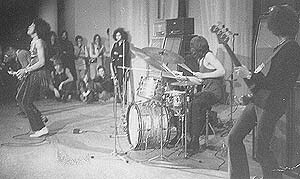 Top was replaced by Hugh Lloyd Langton (who eventually joined Hawkwind) We played around London and did a few trips to Germany and that was about the size of it. You changed your name to Fox and soon after to the Whip. Does any material exists from this period? No, we never recorded anything. 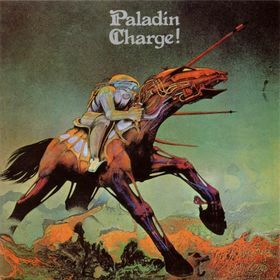 My main theme today for this interview is legendary band Paladin. You formed a band in 1970. Now I would like if you can share a story about beginning of the band and if you perhaps remember some of the early sessions you had. Keith Webb and Peter Solley had just broken up with Terry Reid after supporting the Stones on tour in America. They wanted to form a more progressive band. They approached me in The Speakeasy club in London and asked me to go up to their manor house in the Gloucestershire countryside. We rehearsed there for several months as we tried out guitarists and singers. It was one of the best and most interesting times of my life. 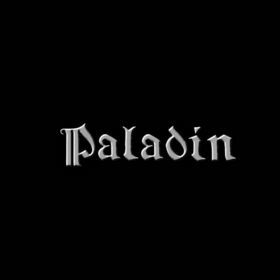 We signed with Bronze records and put out "Paladin". The band toured constantly and became a draw on the university and club circuit. Eventually we released "Charge" which was engineered by Geoff Emerick of Sgt Pepper fame. Keith Webb chose the name based on the character from " Have Gun Will Travel ". Keith believed he resembled him. When he first told me the name he had in mind, I thought he said "Pelican", I said "great...whatever". 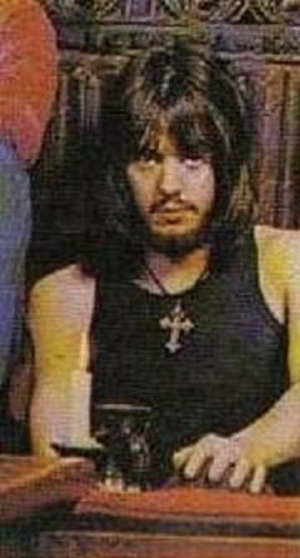 Initially Pete and Keith wrote most of the material as it was mainly instrumental. 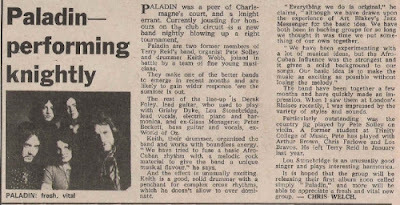 Paladin was my introduction to real songwriting. Lou Stonebridge and I started writing together and more actual "songs" were introduced in the act. 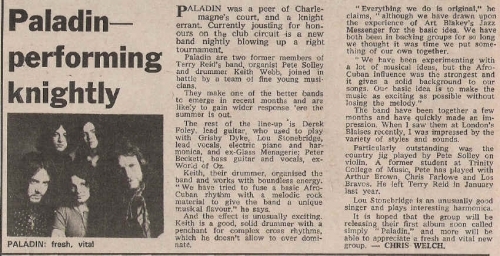 Paladin was essentially a live band and a good one. Charge! is your second album. It truly is a masterpiece. What do you remember from recording and producing this album? Again I would also like to ask you about song writing. Just like to add, that I love Watching the World Pass By so much! By this time we were in full swing, playing all over the world and playing a lot. 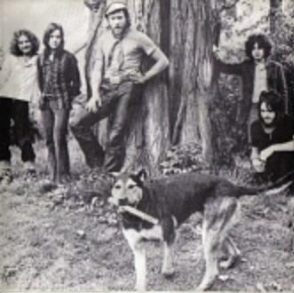 The album was basically recorded live, with a few overdubs and vocals done later. We used to end the show with "Watching the World...". I recently got the two albums on CD from the internet. Who did the cover artwork? It's really fantastic! Roger Dean, who did all the "Yes" covers did the artwork. What can you tell me about touring? Did you play at any festivals perhaps? If you can share some interesting stories from concerts, that would be really great! We toured constantly. 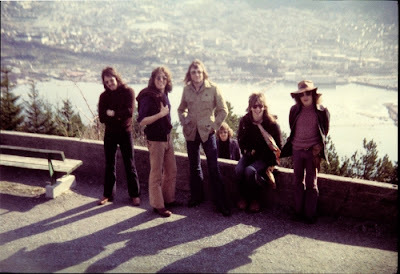 My favorite tour was one we did in East Germany with Manfred Mann amongst others. We played all these great old amphitheatres that I believe were built in Roman times. We went through "Checkpoint Charlie" and were searched thoroughly. The police ripped our new travel car to pieces during the search and barely put it back together. Why did you disbanded, what happened? We went through a personnel change when Keith and Peter decided to replace Lou Stonebridge and Derek Foley, putting Joe Jammer on guitar and moving me to lead vocals/bass. Joe was great but it became a very different band. I don't remember why the band finally split but I remember us all sitting around my London flat on a Sunday afternoon feeling miserable about it. Shortly after that I moved to Los Angeles. I never saw the guys again but I did get together with Peter Solley in L.A. a couple of times. Keith died a short time ago while living in Spain. Later you were involved with many bands. You are still very active. Would you like to tell us a bit about your solo project and what are some of your future plans? Sometime after coming to L.A. I formed Player and had some success in the late seventies /early eighties. "Baby Come Back" was an international number one. Big tours with Bozz Scaggs, Clapton, Heart, Kenny Loggins etc. After the original Player split I did a lot of film and TV work before joining "LIttle River Band " for 8 yrs. 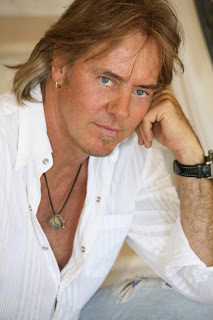 I am still active in film and TV as well as performing with Player occasionally at festivals and casinos. My only solo effort to date,"Beckett" which was originally released in 1991 is about to be re released on AOR Heaven out of Germany. I have a new country band "The LImey Cowboys" that I'm excited about right now, with me doing all the singing and writing. We'll see how that goes. I want to thank you for taking your time to answer some questions about your bands. It really means a lot to me. Would you like to add something? I have been writing a book for 10 yrs about my experiences in the music business all over the world. I have dedicated it to young people who might be thinking about a career in music. They will definitely know if they want to after reading it.